Our team is well versed with the latest advances in fertility treatments and consists of consultants who are experts in the field of Reproductive Medicine. Their knowledge and dedication has resulted in CRGH’s high level of performance and success rates over several years. Mr Paul Serhal is an accredited consultant in Reproductive Medicine and is a member of the Royal College of Obstetricians and Gynaecologists. He was a Clinical Lecturer in Obstetrics and Gynaecology at University College London Hospital in 1987, and in 1990 was appointed as Honorary Consultant in Reproductive Medicine and Honorary Senior Lecturer at University College London (UCL). He is the medical director of The Centre for Reproductive & Genetic Health (CRGH) which he founded in 1990. His vast experience of male and female infertility has ensured that CRGH is amongst world-class leaders in the pioneering of new techniques, such as pre-implantation genetic diagnosis and the advancement of fertility treatments. Mr Serhal has published more than 100 articles in books and journals and frequently lectures at international conferences. He reported with professor Ian Craft the first pregnancy in the UK in post-menopausal women using donated eggs. The results were published in The Lancet in 1987. In 2004 he was granted the first UK licence for screening a genetic form of bowel cancer, Familial Adenomatous Polyposis Coli (FAP), with pre-implantation genetic diagnosis (PGD) from the Human Fertilisation and Embryology Authority. In 2005, he was also granted the first UK Licence for screening embryos for a genetic form of cancer of the eye (Retinoblastoma). He reported the first baby born in the UK following PGD for a genetic form of breast cancer (BRCA1) in 2009. He is actively involved in a number of teaching and training programmes. Mr Serhal appears on many radio and television documentary programmes about women’s health. 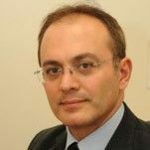 Mr Ozturk is a consultant gynaecologist and specialist in reproductive medicine. Mr Ozturk received his research degree from University of London on the “Clinical aspects of embryo implantation” and his Master’s degree from University of Aberdeen on the “Quality assessment in assisted conception”. He worked as a consultant gynaecologist and senior lecturer at University College London Hospitals before becoming the Deputy Medical Director at the CRGH in 2010. He has published widely on factors affecting the outcome of IVF treatment including uterine and ovarian blood flow, multiple pregnancy and treatment quality. 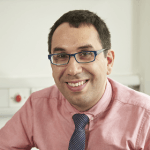 Mr Wael Saab is a fertility consultant and Deputy Clinical Director at the CRGH, joining our team in 2007. Mr Saab trained in Obstetrics and Gynaecology with specialist interest in infertility and the treatment of the infertile couple, ranking in the top one percent in international medical exams whilst training. Mr Saab is highly skilled in gynaecologic ultrasound, 3 Dimensional pelvic scanning and early first trimester ultrasound. He also has a Bachelors degree in Biology with distinction. His broad knowledge in different fields of medicine made him interested in research. Mr Saab has had publications in books and in medical journals on natural cycle IVF and various other aspects of fertility and obstetrics and gynaecology. Mr Saab is a member of the Royal College of Obstetricians and Gynaecologists, and a member of the British Medical Acupuncture Society. Mr Saab is experienced in Reproductive Immunology and the management of recurrent IVF failures. Academically, he is an Honorary Clinical Senior Lecturer in the field of Reproductive Science and Women’s Health for MSc students at UCL. Ms Jara Ben Nagi is a consultant gynaecologist and specialist in reproductive medicine and surgery. After graduating from Guy’s, King’s and St. Thomas’s medical school, she trained in obstetrics and gynaecology, where she worked in several London teaching hospitals including King’s College, Guy’s & St. Thomas’s and Chelsea and Westminster Hospital. Ms Ben Nagi also undertook a two year research fellowship, which investigated various factors that affect the intrauterine environment. This resulted in her being awarded a research degree (MD) from University of London in 2009. She has widely published in high impact peer reviewed journals including Human Reproduction, Lancet oncology and Ultrasound in Obstetrics and Gynecology. Ms Ben Nagi is highly skilled in advanced 3D gynaecological ultrasound scanning and HyCoSy. She is also experienced in hysteroscopic surgery. She is head of the preimplantation genetic programme at CRGH and surrogacy lead. Ms Ben-Nagi is an Honorary Clinical Senior Lecturer at Imperial College London. Ms Srividya Seshadri is a Consultant Gynaecologist & accredited sub-specialist in reproductive medicine & surgery and Head of CRGH Research & Clinical Development. She completed her MD thesis on Reproductive Immunology at the University of Liverpool. She obtained her Masters in medical ultrasound from Kings College London and specialised in 3D scanning. Her special interests include Preconceptual care, Reproductive Endocrinology, Reproductive Immunology, Recurrent Implantation failure and Recurrent Miscarriages. She has authored publications in leading medical journals and lectured on the above specialised areas of interest. 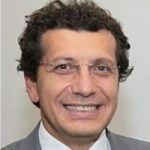 Mr Efstathios Theodorou is a Consultant Gynaecologist and Specialist in Reproductive Medicine and a Member of the RCOG. 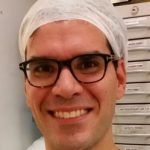 He completed a fellowship in Reproductive medicine at Imperial College (Hammersmith IVF) and was nominated by the British Fertility Society as a Trainer for pelvic ultrasound and embryo transfer. He has extensive experience in all aspects of Reproductive Medicine and a specialist interest in fertility preservation, recurrent implantation failure (immunology, endometrial receptivity), genetics (PGS), egg donation, surrogacy, ovulation protocols for poor responders and uterine assessment. He is passionate about evidence based medicine, patient tailored treatment and high quality of care. Formerly Medical Director and Person Responsible to the HFEA at CARE fertility London. Mr Ali Al Chami is a fertility consultant at the CRGH. 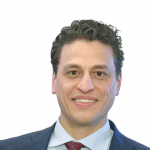 Mr Al Chami completed his postgraduate training in obstetrics and gynaecology with special interest in infertility and became a member of the RCOG. He subsequently had 3 years clinical and research fellowship training in assisted conception and reproductive medicine at University College London Hospital. Mr Al Chami is highly skilled in advanced 3D gynaecological ultrasound scanning, HyCoSy, and hysteroscopy. His special interests include fertility preservation, reproductive medicine surgery, and adjuvant treatments in IVF. He has published on luteal support in assisted conception, PCOS, and unexplained infertility. 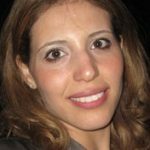 Ms Montserrat Duran-Retamal achieved the degree of Licentiate in Medicine by the Complutense University of Madrid in 2005 and completed her Specialty Training in Gynaecology and Obstetrics at the University Hospital Mutua Terrassa in Barcelona (2011). She holds an International Master´s Degree in “Human Reproductive Medicine” by the Autonomous University of Barcelona and another International Master´s Degree in “Advanced Medical Skills Specialty: Multidisciplinary Treatment in Gynaecology Oncology and Breast Cancer” by the University of Barcelona (2011-2012). 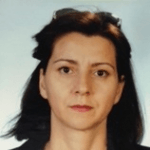 Ms Montserrat Duran-Retamal was granted with several national and international fellowships during her medical and specialty career (Spain, Finland, Italy, UK) and she conducted her last travelling fellowship which was granted from the European Society of Gynaecological Oncology (ESGO) at the University College London Hospital in 2013. She worked in Spain from 2011-2014 as Consultant Gynaecologist, Obstetrician and in Reproductive Medicine until she moved in UK where she started working at The Centre for Reproductive and Genetic Health in London (UK) in 2015 until present. Her main areas of interest are embryo implantation, fertility preservation, gamete donation and she is actively involved in 2D/3D scanning and minimally invasive fertility procedures. Ms Montserrat can speak five languages: English, Italian, Spanish, Catalonian and French. Ms Melanie Davies is a consultant obstetrician and gynaecologist, and accredited subspecialist in Reproductive Medicine. 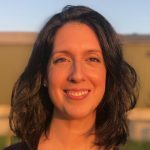 As well as working at the Centre for Reproductive and Genetic Health, Ms Davies is a senior consultant at the Reproductive Medicine Unit in University College London Hospital, and responsible for the HFEA licensed fertility services in the Reproductive Medicine Unit. Her special interests are subfertility, endocrinology, reproductive effects of cancer and chronic disease, premature menopause, adolescent care, PCOS and recurrent miscarriage. 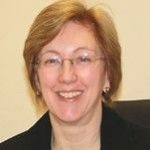 Ms Davies is an experienced RCOG training programme director for reproductive medicine, is a Clinical Advisor to the HFEA and a contributor to NICE guidance on fertility, menopause, endometriosis, and heavy menstrual bleeding. She is the Chair of Fertility Preservation UK, a member of the Medical Advisory Committee of the British Menopause Society and the Executive Committee of the British Fertility Society. She lectures nationally and internationally and has publications in the New England Journal of Medicine, British Medical Journal, and Human Reproduction. Mr Dimitrios Mavrelos is a consultant in Obstetrics and Gynaecology. He is accredited as a sub specialist in Reproductive Medicine by the Royal College of Obstetricians and Gynaecologists. Mr Mavrelos studied medicine at the University of Oxford and Guy’s King’s St Thomas’ School of Medicine. 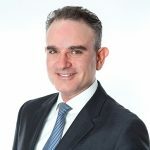 He undertook an MD in gynaecological ultrasound and has published several scientific articles and book chapters on the diagnosis and management of endometriosis, the diagnosis and management of early pregnancy complications and the impact of gynaecological disorders on assisted conception techniques. Mr Mavrelos is an expert in assisting couples to conceive and managing gynaecological disorders in women wanting to preserve and enhance their fertility. 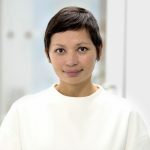 Miss Ephia Yasmin is a consultant Obstetrician and Gynaecologist and clinical lead of the Reproductive Medicine Unit at University College London Hospital (UCLH). She is an honorary senior clinical lecturer at University College London. She has an MD from the University of Leeds on polycystic ovary syndrome. She has acquired her wide experience and expertise in fertility treatments from some of the leading centres in the country in Leeds, London and Bristol. Her special interests are management of rare uterine and genital abnormalities, reproductive endocrinology, fertility preservation and reproductive surgery. She has published in peer reviewed journals and contributed chapters on her special interest topics. She runs an annual laparoscopy and hysteroscopy teaching course for junior doctors at UCLH. She lectures regularly at national and international medical conferences. 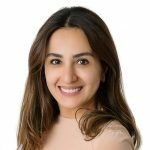 Ms Shirin Khanjani is a consultant Gynaecologist and accredited subspecialist in Reproductive Medicine at University College London Hospital. 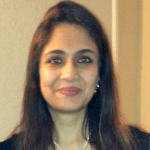 Miss Khanjani has trained at Imperial College where she obtained her PhD, was a clinical lecturer and completed sub-specialist training in reproductive medicine. Her research interests are identifying biomarkers that will help with successful conception, these include microbiome, metabolome and inflammatory signature of the reproductive tract. She has published in peer reviewed journals and book chapters. 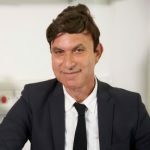 Mr Ertan Saridogan is a Consultant in Gynaecology, Reproductive Medicine and Minimal Access Surgery at the University College London Hospitals (UCLH), The Portland Hospital and CRGH. He qualified in 1997 from Hacettepe University, Faculty of Medicine, in Ankara, Turkey. 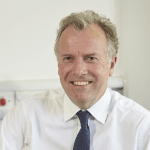 Mr David Ralph is a Consultant Urologist, working both at The Institute of Urology (London) and at the Centre for Reproductive and Genetic Health. He has a wide interest in all aspects of sexual medicine and leads an active research programme with PhD and MD fellows. He is an accomplished microsurgeon who established and teaches on the Royal College of Surgeons’ Microsurgery for Andrologists course. In clinical practice his microsurgery skills are of particular benefit to men requiring surgery for fertility problems or vasectomy reversal. 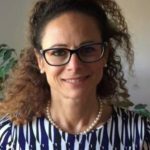 Mrs Goumenou trained in Greece, London and West Midlands until he was appointed as an NHS consultant in gynaecology and reproductive medicine and surgery at in 2012. She is the lead clinician of fertility services at the East Kent Hospitals University Foundation NHS Trust, and lead doctor for CRGH in Kent. Erika’s special interests are in Minimal Access Surgery and Reproductive Medicine. She has experience of working within an IVF satellite service and regularly offers consultations, ultrasound scanning and fertility treatments to couples with reproductive concerns. She regularly manages polycystic ovarian syndrome, hirsutism, amenorrhoea and menstrual disorders as well as menopausal concerns. She regularly performs advanced laparoscopic surgery for endometriosis, ovarian/ tubal pathology and hysterectomy. Erika gained extensive experience in managing uterine fibroids both medically and surgically. She introduced a novel method of treating heavy menstrual bleeding (Novasure) under local anaesthetic. Miss Manzo has been a Consultant at Hinchingbrooke Hospital since November 2010 and has private practice privileges at Mulberry Healthcare.